Today, I have a guest post over on the blog of author Leigh M. Lane entitled "Religion: Touching on a Touchy Subject in Fiction." 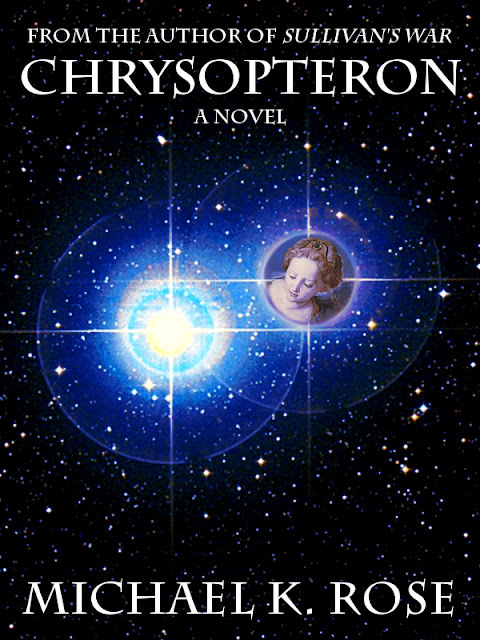 Chrysopteron deals rather prominently with religion, and I wrote this because I wanted to share my thoughts on how one writes about such a controversial topic without--hopefully--alienating readers. Read it here. Leigh M. Lane has ten published novels and twelve published short stories divided among different genre-specific pseudonyms. Check out her work here. In other news, I still have my Christmas sale going. Sullivan's War and my collection Short Stories are just 99 cents each until the end of the month. Info about that can be found here. I also have a contest running. All you have to do is like my Facebook page and you'll be entered to win all my books. Details here. And, finally, Sergeant Riley's Account, the prologue to Sullivan's War, is free at Amazon today (Dec. 23). Click here to download it for your Kindle.